A Tarrant County judge issued a 14-day temporary restraining order Monday that prevents Cook Children's Hospital in Fort Worth from removing a 9-year-old girl from a ventilator days after being declared brain dead. Doctors at the hospital had planned to remove Payton Summons from life support at noon Monday, against the wishes of her parents who are holding out hope for a miracle that their daughter will recover and regain consciousness. The couple's attorney, Justin Moore, said the delay was necessary to allow the family time to find another medical facility willing to keep Payton alive. "It's the best news since everything happened," said Payton's mother, Tiffany Hofstetter. "There was a huge weight taken off my shoulders and I actually felt like I could breathe." Hofstetter's daughter was brought to Cook Children's Hospital on Sept. 25 after she suddenly went into cardiac arrest and stopped breathing. Doctors were eventually able to revive her heartbeat. But they said her brain, which went without oxygen for more than an hour, suffered serious damage -- and she was no longer able to breathe on her own. She has been on life support ever since. 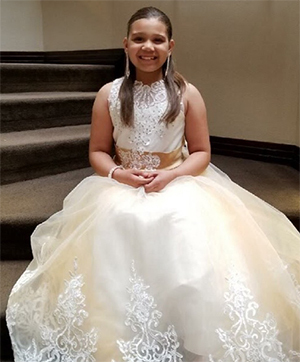 Summons has cancer, with a tumor that cut off her circulation, according to hospital attorney Laura Copeland, who added the tumor was crushing the girl's heart and lungs. "As is standard practice, we conducted a brain death exam on Payton approximately 24 hours after she was admitted to our hospital," a spokesperson for Cook Children's said Monday in a written statement. "The results were conclusive and showed zero brain activity, confirming that Payton is brain dead ... Our hearts are with Payton's family and we will continue doing everything in our power to help them through this difficult time." Tuesday, Moore notified Cook Children's Hospital that Payton's parents revoked their consent for the hospital to speak to the media about Payton's condition, a hospital spokesperson said. "Unfortunately, this means that we are no longer able to provide detailed, factual information regarding this case," the statement read. "We’re disappointed that the family has revoked their authorization because we believe that accurate information facilitates fair, balanced and informed reporting." In a Monday statement, Moore said, "As is their right under the Texas Advance Directives Act, they should be provided the time and opportunity to find another facility that will allow for continued care of Payton while she slowly recovers. They simply want to give their child a fighting chance. Far too often, we have seen medical facilities choose profits over care for patients. Payton’s predicament falls in line with this misguided, cold and callous practice of hospitals worried about overhead, instead of the natural lives of its patients. No young child should be treated like this." 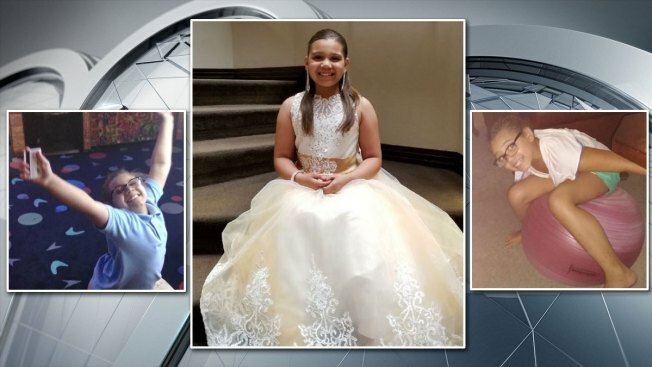 Moore said doctors told the parents on Thursday that their daughter was brain dead, meeting the state's legal definition of death even though her heart still beats. "So you have folks saying their child is dead, when they think she's alive," said Moore. "The fact that they think she can recover, they don't believe she's brain dead." "Our physicians and nurses were able to revive her heartbeat, but they were unsuccessful in resuscitating her breathing," the hospital statement said. The cardiac arrest had caused "a devastating injury to her brain due to being without oxygen for over an hour," the statement said. On Monday, Copeland told the judge: "There is no facility, there is no phone call that could be made, there is no place that will take her. She is dead. It is very traumatic for the staff to have to do things for a patient they know is dead." The hospital said the Texas Advance Directives Act allows a hospital after a 10-day waiting period to discontinue life-sustaining treatment on a patient once that patient's doctors determine that continuing treatment would be "futile." Moore, however, said Payton's parents have not given up. 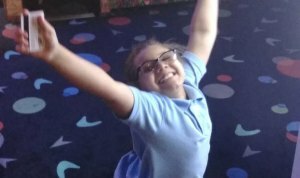 Cook Children's said it does not believe the law applies to Payton's specific case because she had already been declared brain dead. Still, they issued a statement Monday afternoon saying they would comply with the judge's TRO and that Payton would receive the best possible care while in their facility. Cook Children’s will comply with Judge Wilkinson’s order to maintain Payton on ventilator support to allow her family time to explore whether she can be transported to another facility. During that time, we will hold off on performing the second brain death examination. The purpose of the second exam is to provide an independent examination to confirm the first test that showed zero brain activity which, under Texas law, means that Payton is considered brain dead. Our physicians and nurses will continue to administer the best possible care for Payton. In addition, our staff will assist Payton’s family and their attorney in their effort to get her transferred to another facility. We respect the effort of Payton’s family to do what they believe is best for their child. We experience this kind of parental passion every day and always work alongside the parents. 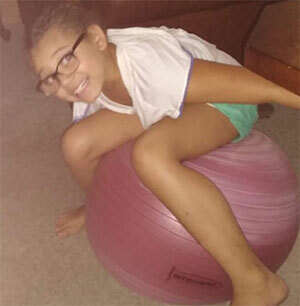 The hospital previously noted it reached out to two other area hospitals to see if they'd be willing to accept her as a patient -- but both hospitals denied the transfer "because they agreed there was nothing additional they could do for Payton." State District Judge Melody Wilkinson has scheduled a Friday morning hearing to reconsider the order after further developments.